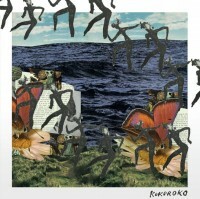 The afrobeat-inspired eight-piece Kokoroko drop their hotly-anticipated debut, a horn-fuelled, soul-shaking introduction to the young collective. Emily says: Kokoroko have (deservedly) attracted a lot of attention since being featured on Brownswood’s “We Out Here” compilation. The promising London jazz ensemble are now offering their debut EP which draws inspiration from afrobeat giants Fela Kuti, Ebo Taylor and Tony Allen. “Abusey Junction” is a slowly unfolding ballad tinged with melancholy and nostalgia. “Uman” begins with a bittersweet horn chorale and slowly builds into a joyous afrobeat stomper. A record filled with moments of wisdom, celebration and fabulous musicianship.